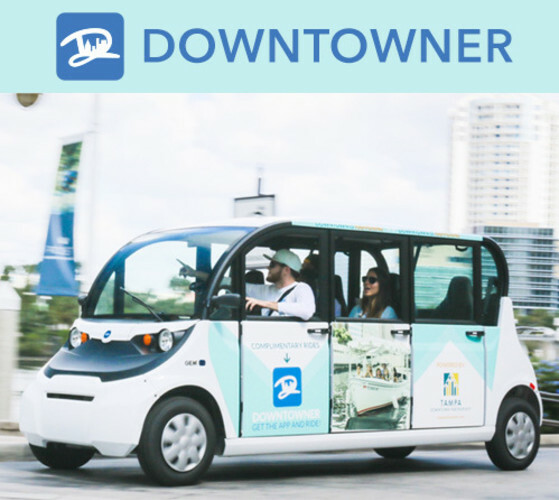 Downtowner is your fast, fun, eco-friendly lift around town! Get free, on-demand rides at the tap of a button by downloading our free mobile app. Just search Downtowner in your app store. From the Tampa Riverwalk to the Florida Aquarium, we've got you covered. Request a ride anywhere in our service area and we'll whisk you away within minutes.